We’ve been following little Serena Kearns and the role she played in the suffrage movement. Other children participated in the movement, including a few who actually hit the lecture circuit. Serena marched in suffrage parades in Washington, DC and New York City. She also participated in pageants, including a 1913 suffrage fundraiser at the Metropolitan Opera in New York. 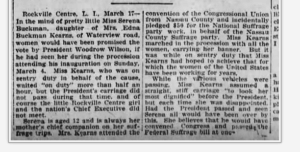 The suffrage movement for the Kearns family involved everyone. Find out about Serena’s parents, Edna and Wilmer. A reference to Serena at a NYC rally where she represents other children. Serena Kearns: Suffrage Poster Child on Vimeo. 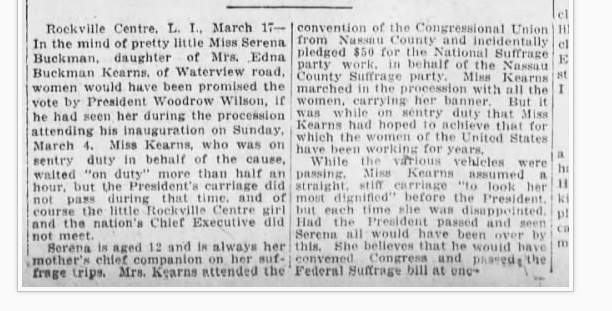 A 1917 article about Serena Kearns and her picketing of the White House with the National Woman’s Party. It’s no big deal to take a young person to a demonstration today. How different it was back in the first wave. 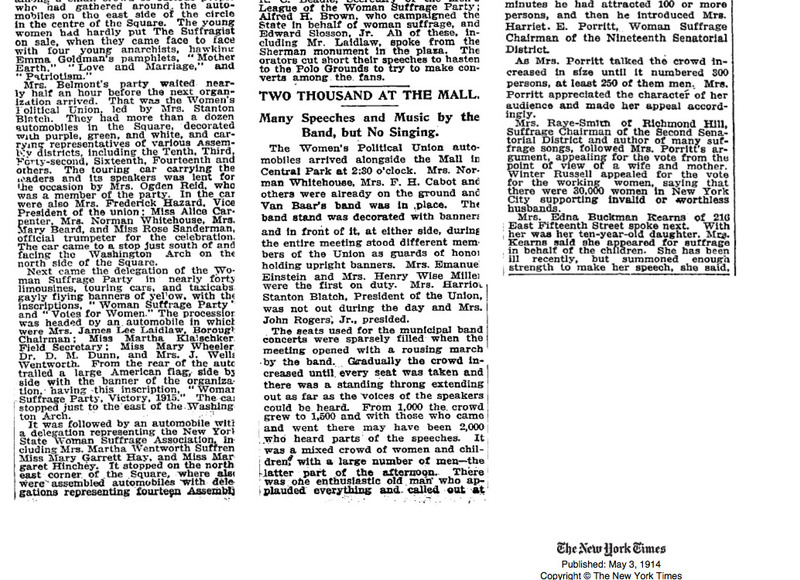 I bet Serena Kearns never forgot what happened when on the road with her mother Edna barnstorming for votes for women. Beautiful, smart Serena has become an icon of the Womens Suffrage Movement. It must have been exciting in more ways than one to be aboard The Spirit of 1776, the famous wagon that will be displayed at the New York State Museum in 2020.